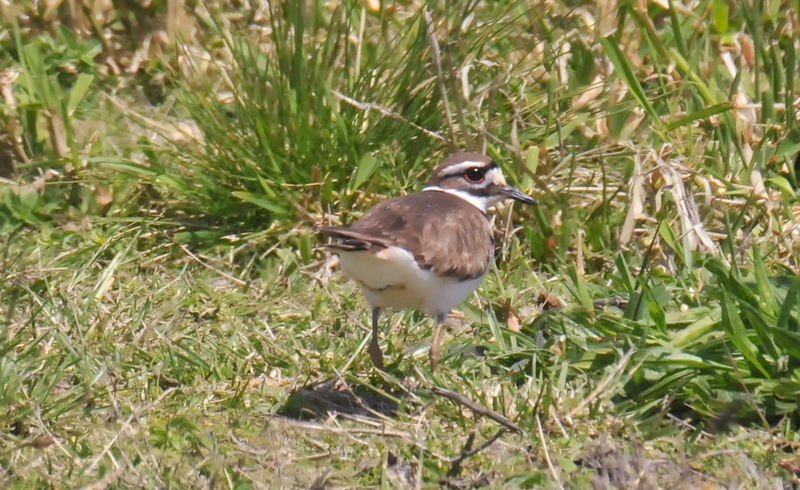 A Killdeer alarmed at my proximity makes a slow break for it. 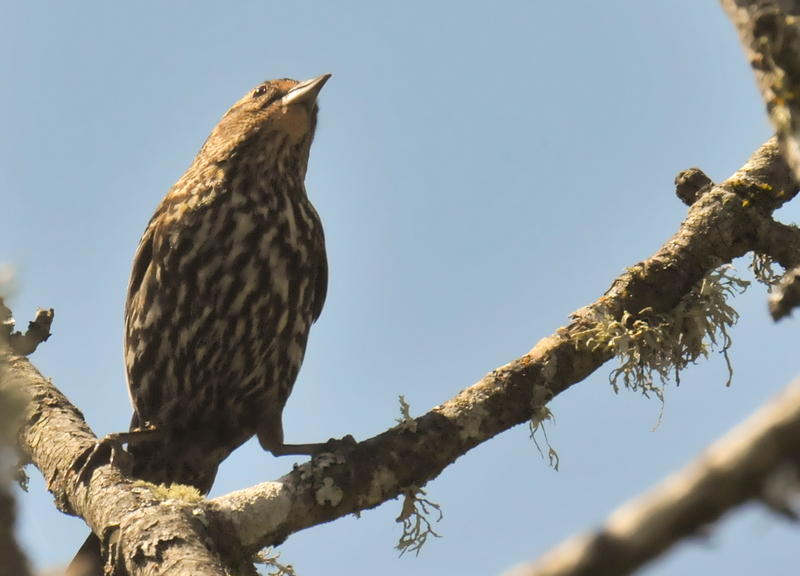 A beautifully streaked female Red-winged Blackbird made a bold stance amid the branches of a tree. 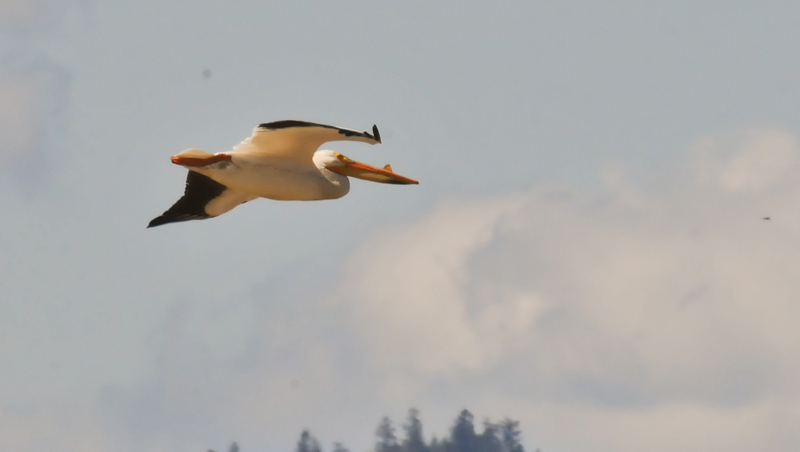 A White Pelican against a blue and cloudy sky. 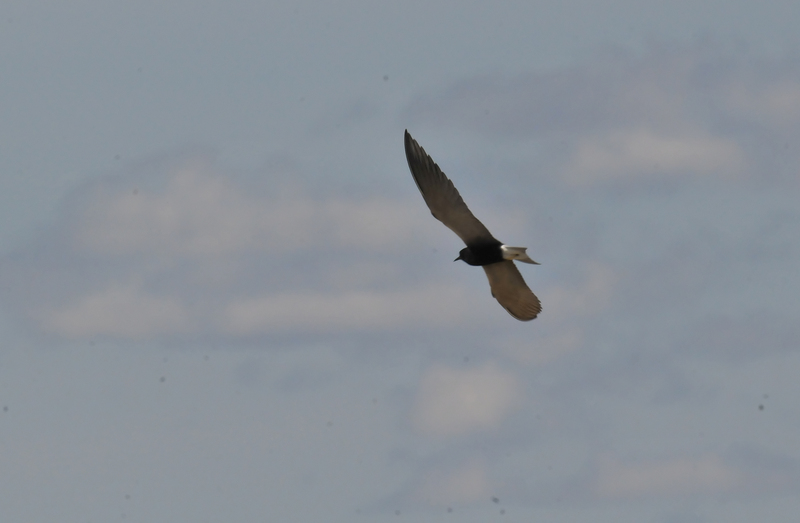 Another Black Tern soaring at Fern Ridge. 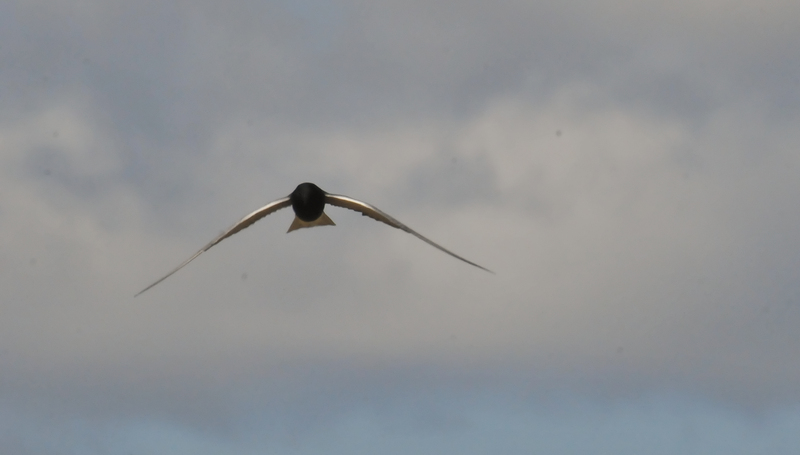 A Black Tern coming right at you! One of these days I'll get a really clear shot of this bird. 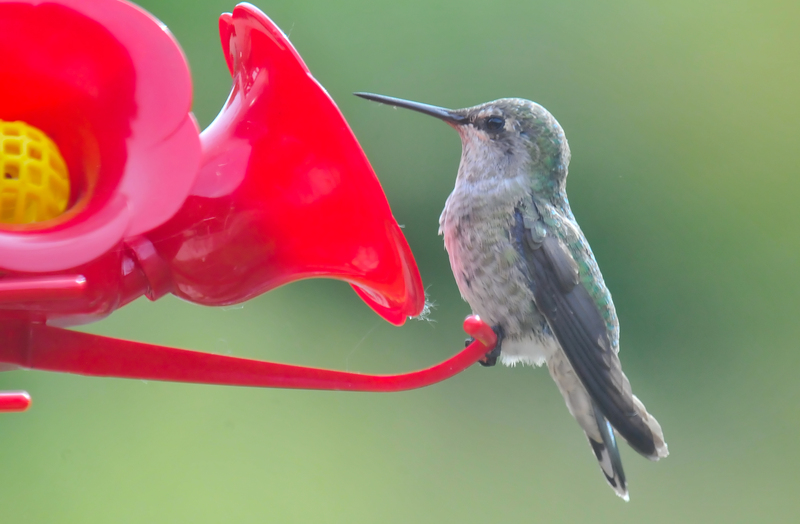 A Female Anna's Hummingbird at the feeder remianed still long enough to get a good profile shot. 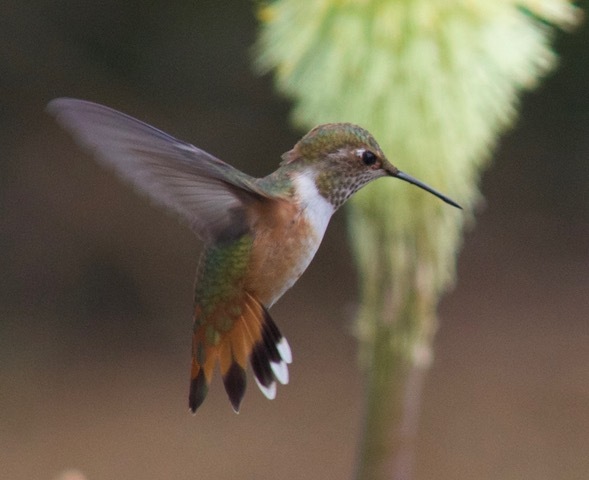 A Female Rufous Hummingbird in my uncle's back yard. My uncle planted the "red hot pokers" outside his bedroom window. 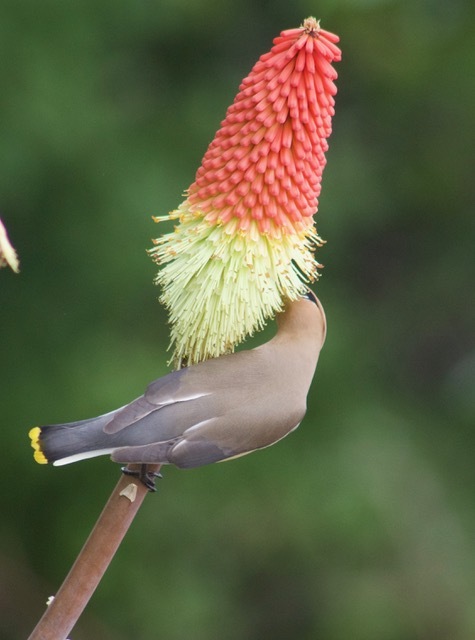 The flowers attract Hummers and Waxwings. 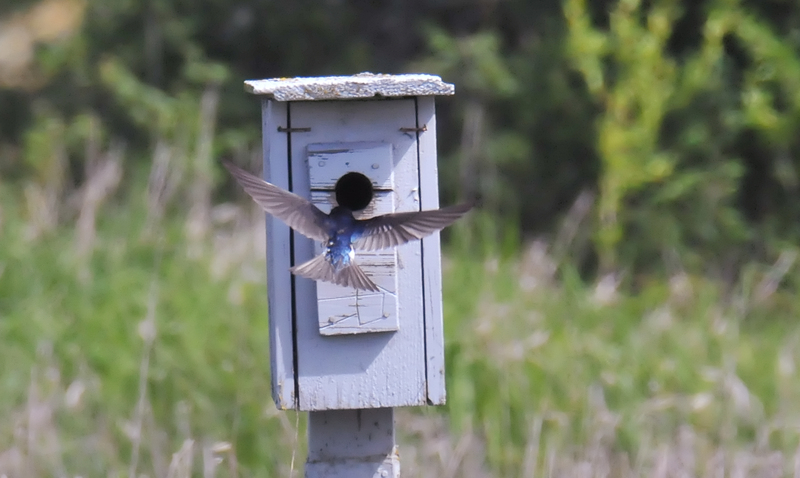 A Tree Swallow about to enter its nesting box. I rarely, very rarely, get a shot of a swallow in flight. 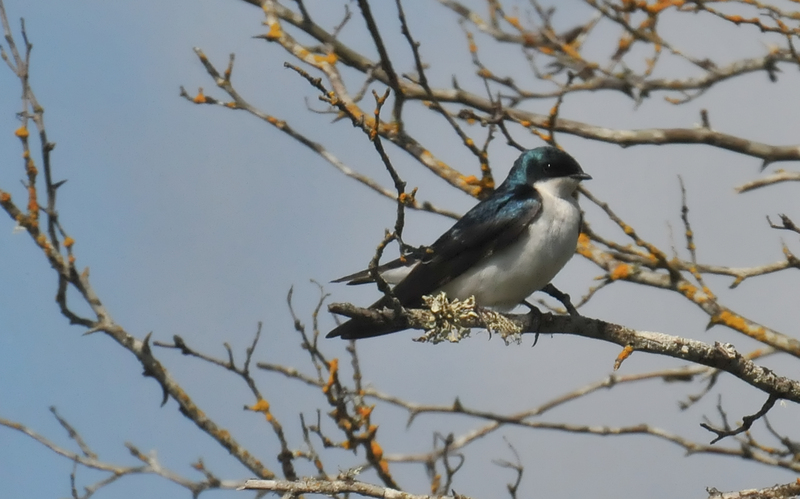 A Tree Swallow in a tree at Fern Ridge. 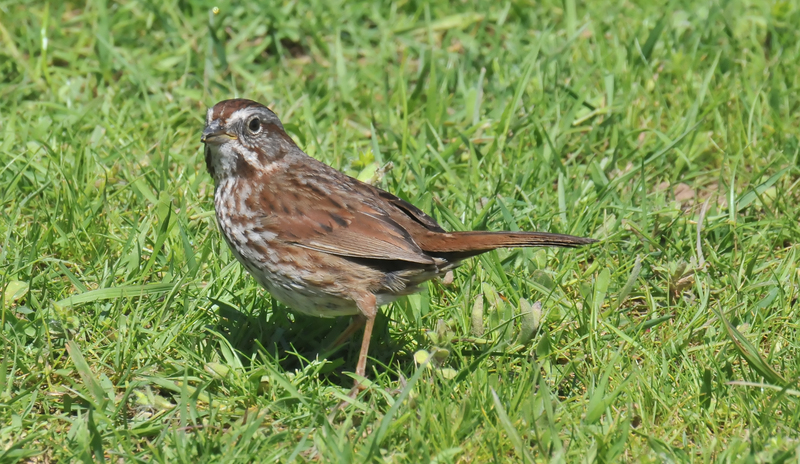 A wide eyed Song Sparrow on the grass at Fern Ridge. Last shot of this year for Canada Geese goslings. Another family of Canadian Geese sailing in shallow water. 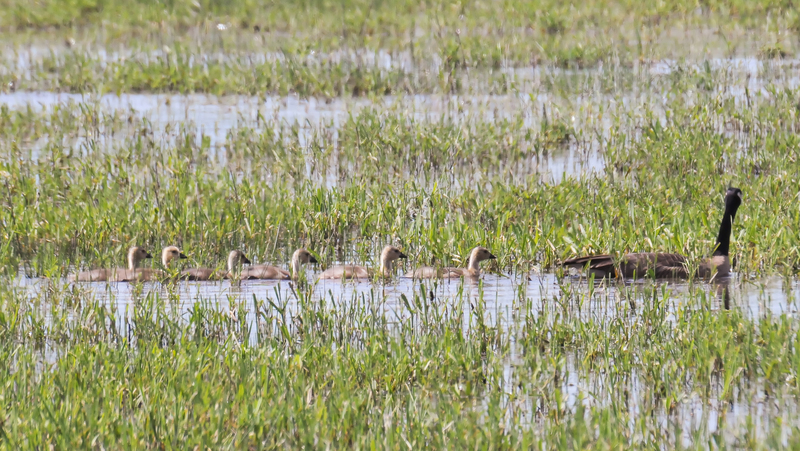 More Canada Geese with goslings, this time in the grass. 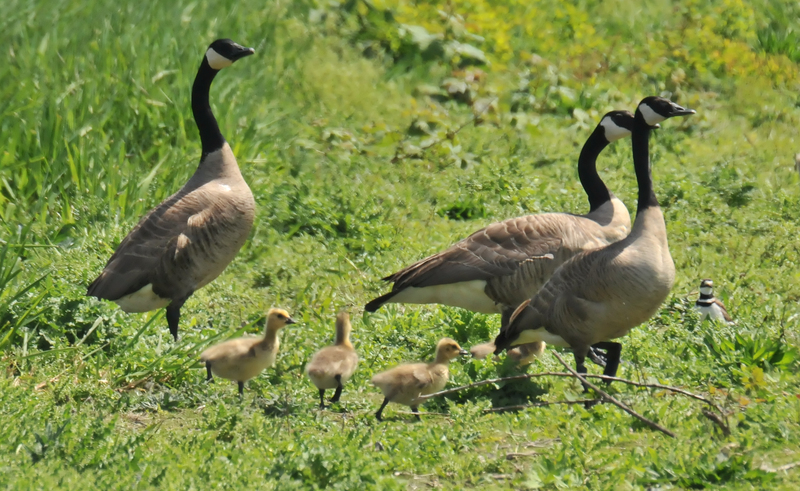 Canada Geese at Fern Ridge in May had many goslings. 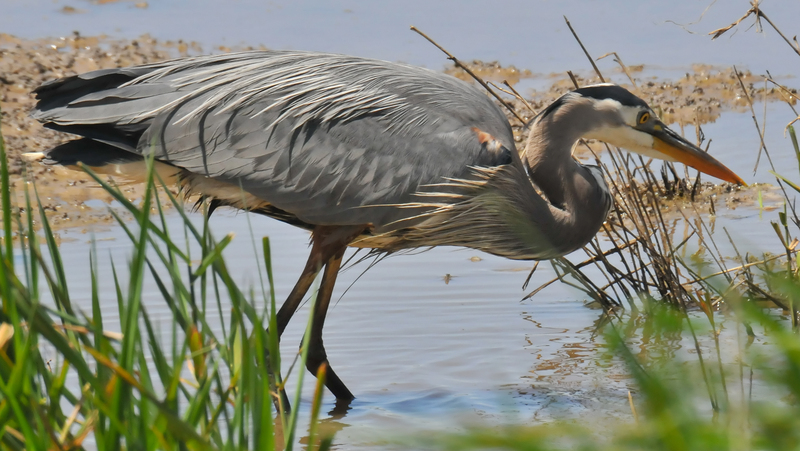 The Great Blue Heron began slowly stalking away after our close encounter. 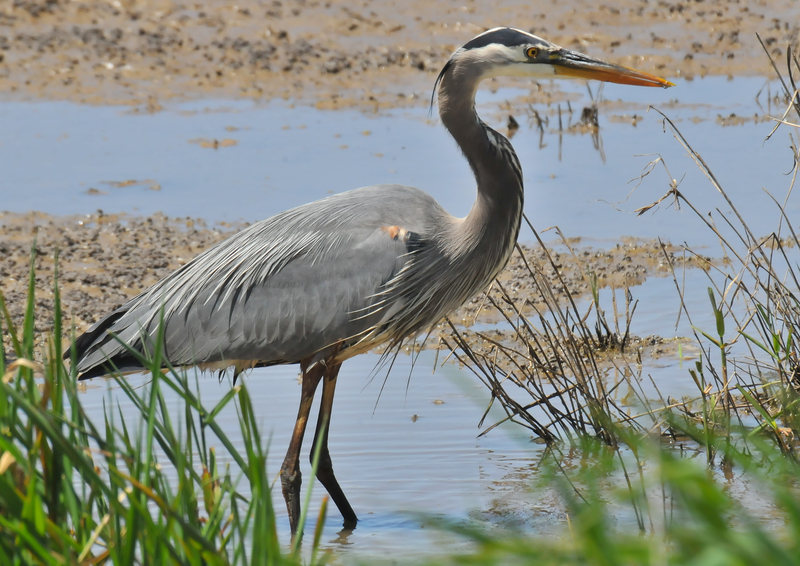 I came upon a Great Blue Heron which surprised both of us. He stood very close to the path instead of far off on the mudflats. 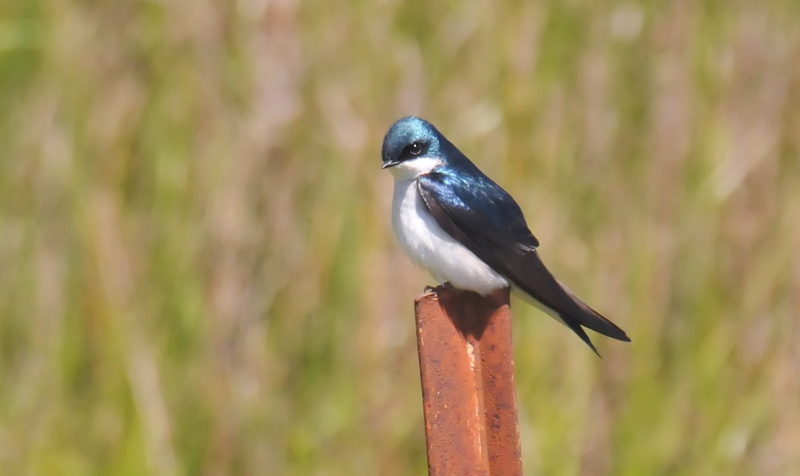 A male Tree Swallow found a good vantage point from which to survey his territory. 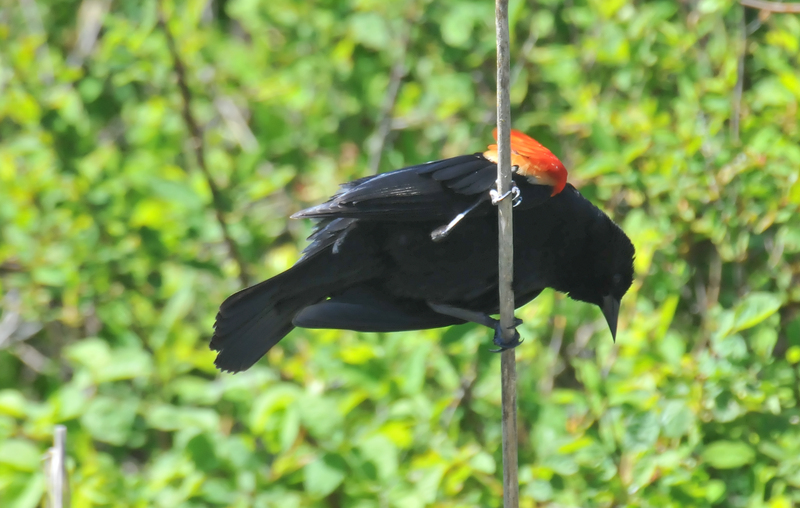 The Red-winged Blackbird here looks like someone pitched a tomato at him. 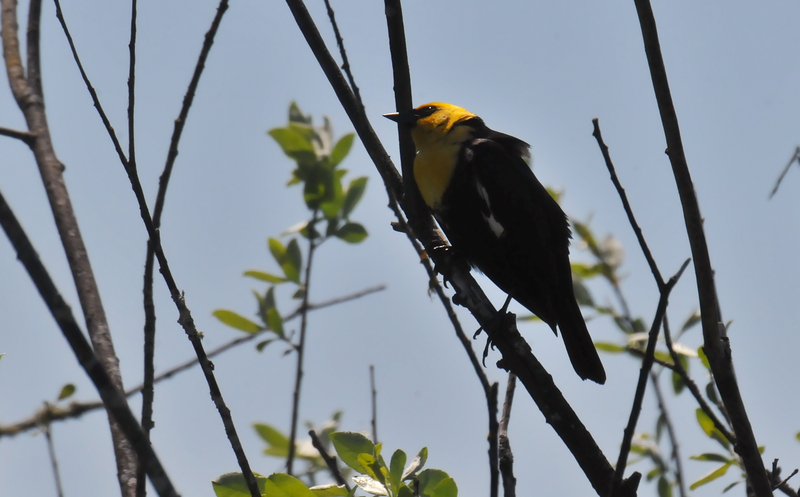 The profile of the handsome Yellow-headed Blackbird. 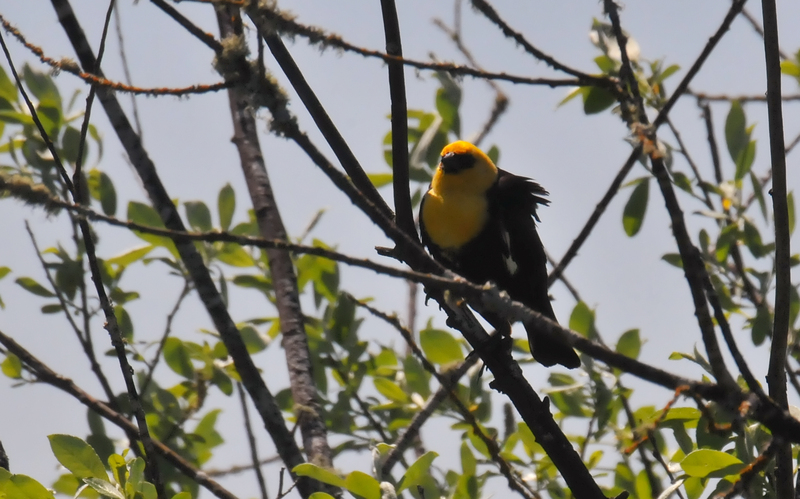 The male Yellow-headed Blackbird that was doing all the atrocious, but endearing "singing". 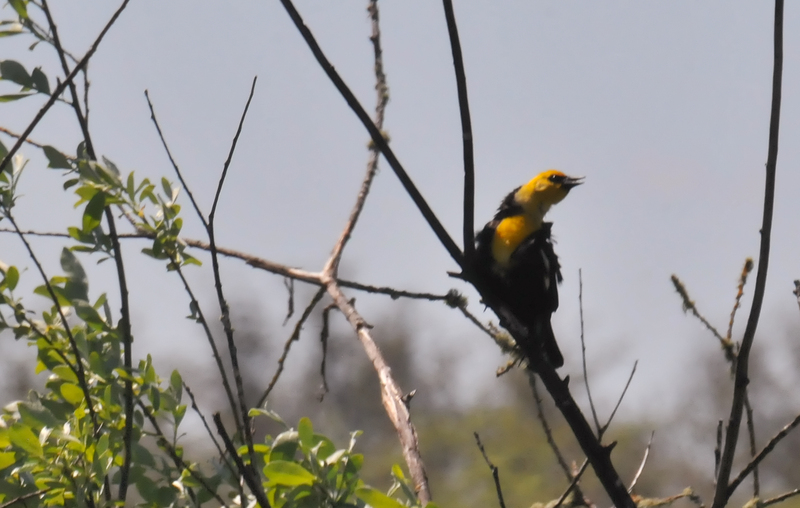 A windblown Yellow-headed Blackbird paused his harsh singing. 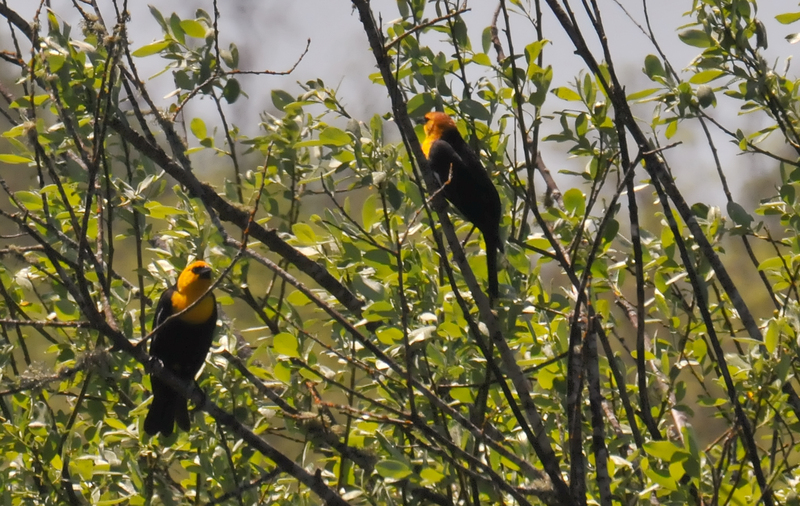 Two male Yellow-headed Blackbirds perched in a tree next to the path. They were beautiful birds, but made the most horrific sounds. I heard them from a distance and thought someone was torturing livestock. 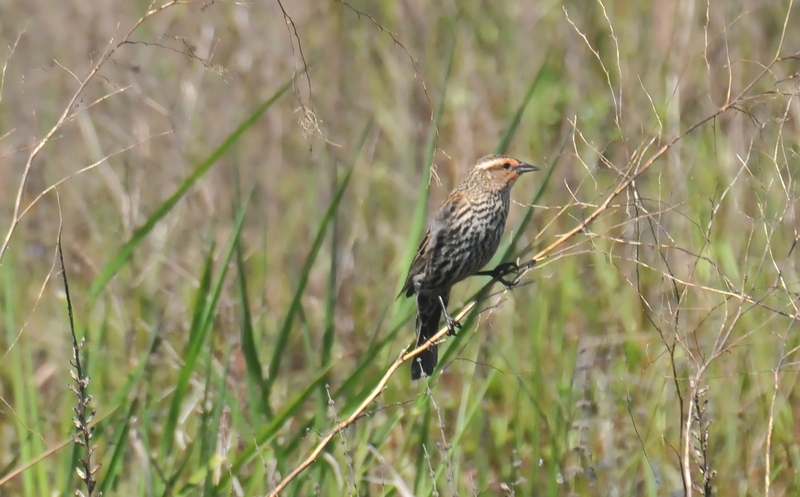 The female Red-winged Blackbird looks nothing like her mate. 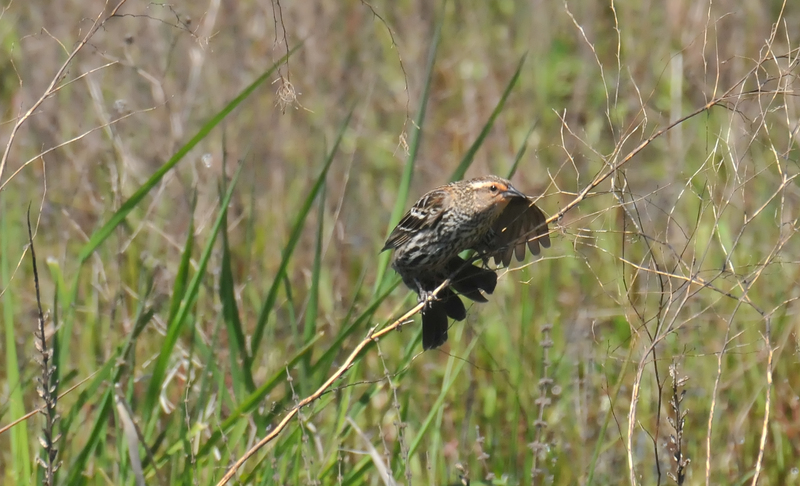 A female Red-winged Blackbird having a nice stretch.